Whether you noticed it or not, you’ve seen product placement hundreds, if not thousands of times. Almost every TV show, movie, and music video which airs nowadays uses the product placement advertising technique, in a more open or veiled way. But what exactly is product placement and how many types are there? 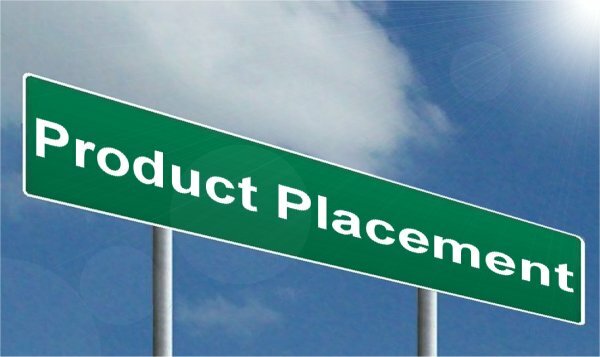 Here is your short but comprehensive guide to this topic, complete with the good, the bad and the ugly of product placement. Simply put, the product placement definition says it’s an advertising technique also known as embedded marketing. It’s one of the few advertising models that doesn’t actually involve an ad. Instead, it relies on famous people sporting or using a distinct product in a cinematographic production or a music video. By using famous people, movies, TV show, and music, the producers, marketers, and advertisers hope to create a positive feeling towards a product. They also rely on the psychological side. If you, the viewer, as a fan of the show, movie or singer see the cast using a distinctive product, you might be tempted to believe it’s good and want to buy it for yourself. There are different ways in which product placement in movies can be used. Evidently, it can be physically placed, as close to the camera as possible. However, the cast members can also interact with it or mention it casually. Taking all of the above into account, here are a few types of product placement. These are just the major models typically used, but movies and TV shows can employ others, as well as combine several at the same time. This model asks for a member of the cast of either a movie or TV show to actually use the product they need to advertise. This is the reason why you see the characters in your favorite sitcom drinking Pepsi, using an Apple laptop, talking on a Samsung smartphone or eating Oreos. The idea behind physical product placement in TV shows is to illustrate that particular product’s many qualities and benefits in a human way. Many times, apart from driving a specific car, for example, you can hear the characters uttering lines about it and praising it. This is product placement advertising. The results are excellent, studies show. Nokia, for example, used the show Hollyoaks and had some of the characters utilize their phones. They then saw a five percent increase in viewers saying they think Nokia Lumia fits into their everyday life like no other phone. Apart from that, 36 percent more fans of the show stated that Nokia Lumia was the best choice for their social networking needs. This type of product placement asks for the product to be placed somewhere in the forefront or even background of a scene. Although it’s clearly visible for everyone, no members of the cast will be using it or interacting with it. For example, you can see an open box of cookies on the table where the characters are having breakfast, a pair of headphones on a sofa behind them, a particular car in the parking lot or numerous bags of chips in a vending machine which the actors pass by in a scene. Although they will never be touched, it’s implied that the characters really use and like those products, especially if those scenes take place in their on-screen homes. Although you won’t, in fact, see the object or service per se, this type of product placement is still very useful, simply because your favorite characters are talking about it. The producers work with the writers and marketers to create clever ways of placing products in this way. For example, the hit TV show Modern Family repeatedly talks about their family cars. They always say how they are better than other cars because they’re so spacious and can fit their children safely enough. Sometimes they are actually in the car itself, so you can see it, other times they simply talk about it. Nonetheless, it’s excellent product placement, by three of the world’s most loved families. We will be circling back to the TV show in this piece since they are the ones who have taken product placement to a whole new level. Although it’s not used on such a big scale as the others, this type of product placement works as well. Sometimes, while watching a movie or a TV show, you can listen to some very new tracks or albums as background music. They are, in fact, advertising it. You’ve seen this one before as well, although you might not have known what you were seeing. A fantastic example of using context as product placement is placing a poster for another movie in the background of the show or video you are currently watching. A prominent contextual product placement happened with the Harry Potter franchise. Sometime during the final movies, main lead Daniel Radcliffe starred in a theater play called Equus. If you look closely at one of the bulletin boards at the school where Harry Potter and his friends study, you will see a poster of the Equus play. Here are a few examples listed for your consideration, so that one can better grasp the whole concept of product placement. They are divided in good, bad, and downright on the nose, for a better understanding of the dos and don’ts in this type of advertising. We begin with this one, although it wasn’t product placement per se. FedEx didn’t actually ask the producers of the movie to use their brand, nor did they pay for it. However, after the release of the film, they did see an increase as far as brand awareness is concerned in Asia and Europe, where they weren’t so well known. In other words, Castaway let the entire world know FedEx exists. Therefore, why is it a bad example? Simply because it was out of context and a much too forcefully induced metaphor. It got a lot of screen time, leading critics to feel it disturbed the movie’s atmosphere. Evidently, it’s purposefully ironic, but specialists say it’s not such a good example of product placement. One of the many reasons is that it could go wrong and defeat its purpose, having customers actually stay away from that particular type of pizza. Luckily, it didn’t happen. Even though, as mentioned above, the show revolutionized the world of product placement, they too can get it wrong sometimes. They had an entire episode centered around buying Phil an iPad for his birthday. Even though it could have gone down well, because they managed to pull it off before, it didn’t. It actually did feel like one, huge commercial for the new iPad. In just five and a half minutes of musical video, Lady Gaga managed to cram seven different brands, all in the name of product placing. This, evidently, transformed her into the queen of this type of advertising, but not in the most positive way. She managed to pull it off, but that doesn’t mean it’s a viable advertising technique because it could easily backfire. Modern Family dropped the ball again. They had Luke, one of the youngest children on the show say something not entirely appropriate related to the Obama care program. In one scene, he is shown sick in the hospital, with another child character pointing to an IV and asking what it is. Luke responds that he doesn’t know, but that, thanks to Obama Care, you now have to pay for it. It was deemed inappropriate to have a child say this line on a comedy TV show. This is one of the best examples of product placement in a television show or movie ever done. 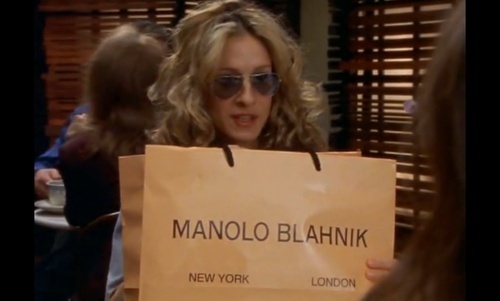 Before it was featured so heavily in the series, Manolo Blahnik wasn’t such a well-known brand. However, after the main character, Carrie Bradshaw, displayed what looked more like an obsession than anything else for this shoe brand, they became a household name. Back when Top Gun was released, Tom Cruise in the Ray Ban Aviators was just about the coolest thing around. At least, this is what marketing studies show. After the movie was released and everybody got a good look at the bespectacled pilot, Ray Ban sales went up 40 percent. Not only that but Aviators have become a timeless fashion accessory. Although the movie features on the poorly executed product placement list as well for FedEx, it did a good job with Wilson Sporting Goods. The main character, played by Tom Hanks, survives a plane crash, but ends up completely alone on a deserted island. Seeing as he needed some company, he fashions himself a friend out of a Wilson volleyball. Thusly, he anthropomorphizes it, and it doesn’t feel like it is a commercial for the brand, even though the ball in itself is featured throughout the length of the movie. 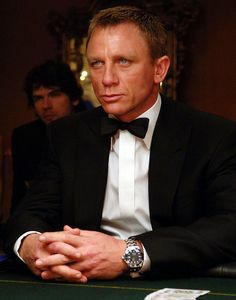 There’s a scene in one of the Bond films starring Daniel Craig as the agent where one of his lady friends notices his watch. She asks if it’s a Rolex and he answers that it is, in fact, an Omega watch. Associating this brand of timepieces with such a huge persona like that of James Bond could only benefit the company. Anything that James Bond wears must be good enough to be worn by everyone. #5. Hershey candy in E.T. A small boy named Elliot realizes an alien ship landed in a forest near his house and that, when they took off, they left a crew member behind. He tries to lure the little alien back to his house by leaving a trail of candy for him to follow. What happened afterward is, of course, movie and pop culture history. The producers of the film first approached the Mars company, as they wanted the trail of candy to be made of M&Ms, but Mars turned them down. They shifted their attention to Hershey, who said yes and had their candy appear in one of the most famous movies of all time. This particular product placement attempt is considered to be one of the most prominent ones. Back when AOL was virtually considered to be the whole Internet for most Americans, they had a slogan which read You’ve Got Mail. Needless to say, it was featured as the exact name of a high-grossing romantic movie starring the likes of Tom Hanks and Meg Ryan. 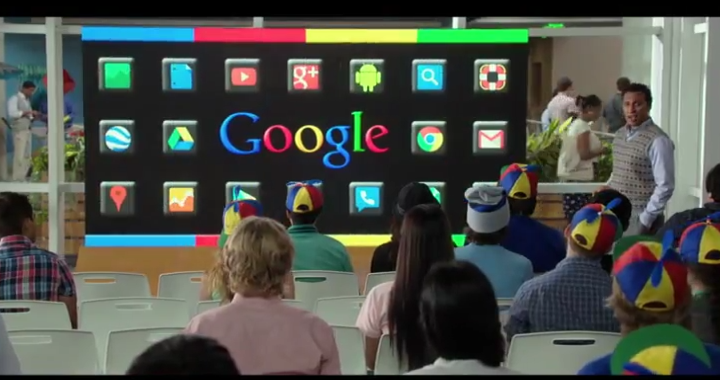 This movie is considered to be one, very long commercial for Google. Even though the company didn’t, in fact, pay to be advertised, it did support the production. Even so, film critics have deemed the comedy as being terrible and too much of an advertisement for Google. This Adam Sandler comedy was literally centered on the Dunkin’ Donuts brand. The plot of the movie has Adam Sandler, as an advertising executive to try and convince Al Pacino to do a commercial for the baked goods. Chaos ensues, and the product placement is a little too on the nose. Baz Luhrmann’s rendition of the beautiful story of Jay Gatsby was, without a doubt, flamboyant and over-the-top. 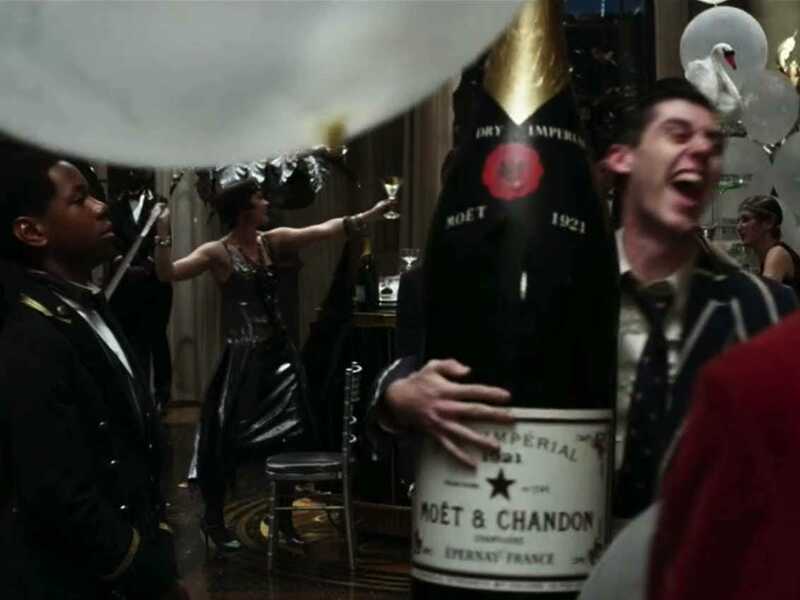 Even so, this still doesn’t account for one scene where, during a huge party at Gatsby’s house, you can see one of the attendants passing by carrying an almost human-sized bottle of Moet and Chandon champagne. It was just a blatant attempt at product placing. Special mentions go to Modern Family. As promised, we’re circling back to this comedy series because they have become somewhat of a case-study when it comes to product placement. They simply took it to another level. You can clearly see this new level in two episodes of the show. One of them occurs entirely on a MacBook Pro. Mom Claire is trying to get a hold of her rebellious teenage daughter, Hayley and she uses her MacBook to do this. Therefore, she spends the entire length of the episode pinging all the rest of the cast via iMessage and FaceTime, as well as a plethora of other apps pertaining to the Apple label. The other episode we mentioned was a first for product placement. Its plot was paid for by the National Association of Realtors. They took advantage of the fact that Phil Dunphy, one of the main characters, is a realtor and uses his skills to get another character out of trouble. The Association admitted to paying an undisclosed fee for the plot to be used in the show, thus marking a first in this type of marketing.